The two partners established themselves and were even dubbed “makers of the first motorcycle” by the press. They began making auto mobiles in 1905 and never stopped. In 1990, Skoda and Volkswagen joined forces which enabled the Czech company to step up its game and produce a higher standard of vehicles. You might not consider Skoda to be a racing brand but amazingly, Skoda won their class in the RAC Rally for 17 years running using their 130LR Estelle and they currently hold the world record for the fastest car in the world for those with engines up to 2 litres. Skoda’s most expensive project was actually that iconic Fabia cake we all oggled at on the television. The advert and cake cost them £500,000 to make! Skoda are one of the oldest auto manufacturers in the world and all that experience shines through in their products. 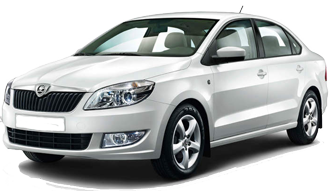 As a Skoda owner, make sure you protect yourself with a Skoda car warranty from Warrantywise. We guarantee not to be beaten on price and cover for any Skoda car warranty. The Skoda Fabia is a large yet trendy supermini that has one of the largest boot spaces in its class. Ride comfort is lovely and space is plentiful on the inside so the back seat passengers will be more than happy with their lot. A tall stance on the road gives fantastic driver visibility. The Skoda Octavia is a professional and smart looking saloon that offers an abundance of interior space in the back seat area. The boot is also the largest in its class making the Octavia one of the smartest practical cars available. Performance is also very good while the ride is comfortable and refined. The Skoda Roomster is a rather large MPV that lives up to its names suggestion. There is a cavernous amount of space on the inside with plenty of storage areas. It delivers excellent manoeuvrability and handling for an MPV of this size and its quiet on the move too. The Skoda Superb is a modern, trendy looking motor that delivers typical Skoda practicality and refinement. Another of their cars with masses of space for your passengers and children, the Superb does make the perfect family car for those who prefer smart designs to size. The Skoda Yeti is an aptly named SUV that offers some brilliant bonuses. Entirely removable back seats, huge amounts of space inside, abundant storage areas and of course that typical Skoda sound insulation. A tall stance gives the driver a good view of the road and will make speed bumps feel like your driving over a pebble.